Vetrii IAS academy in Chennai conducts many free Demo class, Seminars and Workshops which helps students to understand better where you exactly stand and what are the areas they need to concentrate on. The Tamil Nadu Public Service Commission (TNPSC) is an independent department within the Tamil Nadu state government, which is responsible for recruitment for all job vacancies in the Tamil Nadu state government. •Focus on subjects and a best method to brush up concepts. •Ability to give complete support and motivate for better study performance. •Opportunity to attend mock tests and interviews. •Knowledge sharing with seniors who have cleared the exams, clarify doubts with experienced faculty. •Opportunity to program oneself to write other related and associated exams, which one may have been unaware otherwise. 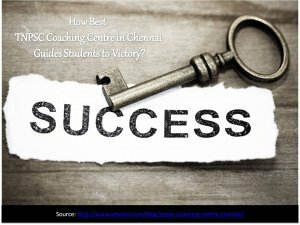 With the above takeaways, enroll with Vetrii IAS Academy to enlighten your career through our best TNPSC coaching centre at Anna Nagar Chennai with more confident.